Jetmaster’s duel heating system where convected air is heated through a separate chamber, this coupled with traditional radiant heat offers a fantastic heat output, with all the ambiance of on open fire. You don’t have to resort to a stove when you want a warm, smoke-free room. 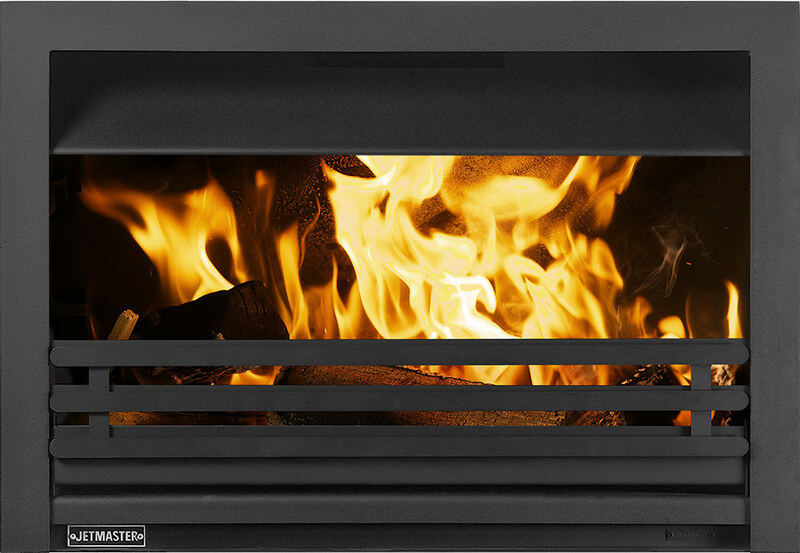 The Jetmaster open fires gives you the advantages a stove doesn’t — the crackle of burning wood, a bigger flame, and a quickly heated room. The fire is easy to light and heats the room quickly so you don't need it burning all the time. Jetmaster fires warm the room in two ways: through radiated heat directly off the fire and through the convection technology. The convection heating system draws the cool air beneath the fire bed and releases it back into the room as hot air from the top of the unit. 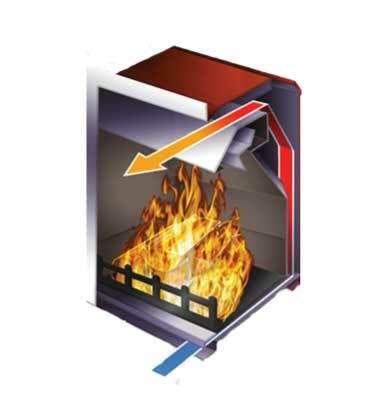 The convection chamber warms the current of air as it contacts the hot steel adjacent to the fire, regaining heat that is normally lost up the chimney. As the hot air leaves the unit it causes a vacuum for more cool air to be drawn through the convection chamber, creating a natural cold-to-warm circulation. 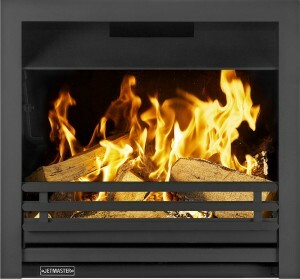 The only approved inset open fire by HETAS The official body recognised by UK Government to approve biomass and solid fuel domestic heating appliances, fuels and services. The only approved inset open fire. 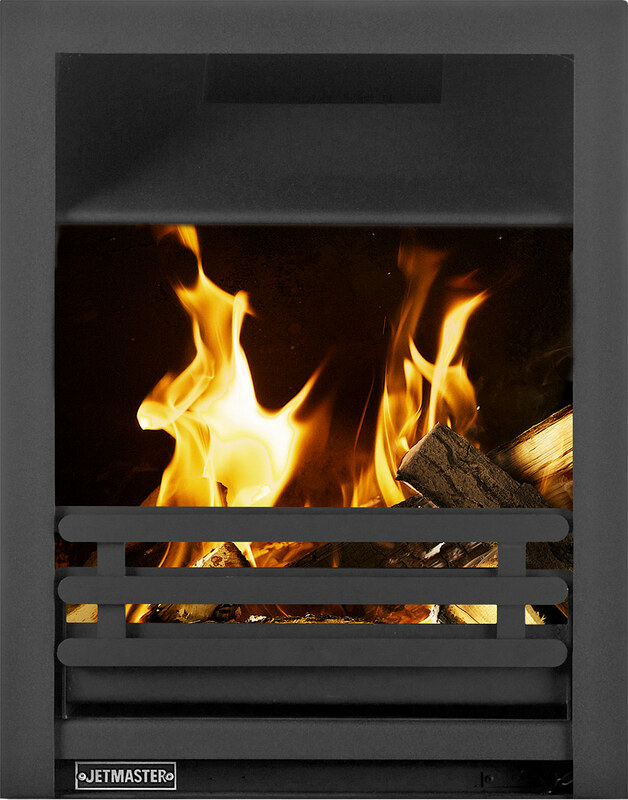 The Standard’s 50% efficiency eclipses the efficiency of traditional open fires (most have less than 18%). Designed to fit a standard British fireplace opening (16×22 in) (18 x 22 in). 3 available styles: Standard Log Retainer, Horizontal Log Retainer or Standard Basket Grate. Designed for low lintel or short chimney installations. 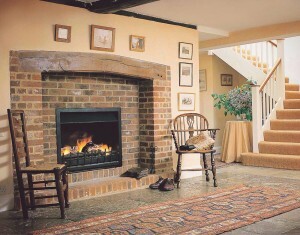 The joy of an open fire with high efficiency in a form factor to suit low chimney openings. Only 530 mm high.